Celebrate the Week of the Young Child at the Overture Center Rotunda! Click here to view the flyer with more information! Meet with other parents to share the joys and challenges of being new parents while balancing school, work and relationships. You will find light-hearted support, empathy, and compassion from others who have been just where you are. There will also be opportunities to learn more about child development, gentle/positive discipline, and managing relationships with partners, family and friends. The group will be facilitated by Dr. Laura Froyen, who had her first child while obtaining her PhD in Human Development and Family Studies, and her second as a brand new professor. 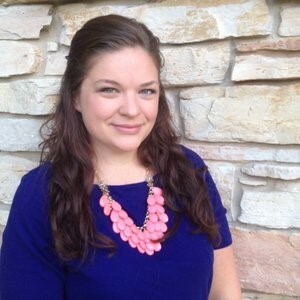 She now specializes in helping families find more balance, connection, and joy. Spring 2019 Playgroups are happening every Monday! Find parenting strategies and solutions that work best for your family! Struggling with discipline? Wondering if your child’s behavior is typical for their age? Needing tips for handling big emotions? Looking for ways to be more balanced and calm as a parent? Wishing you could ask as expert a quick parenting question in-person without the hassle of finding a therapist or consultant? Sign up for a time slot at our next “One-on-One Parent Consult” where Dr. Laura Froyen provides evidenced-based parenting strategies in an easy, convenient setting. OR, if you cannot make our scheduled times, you can email Laura at laura@laurafroyen.com with your UW-Employee ID number or Student ID number and set up a time to meet with Laura! 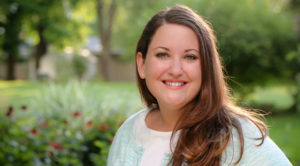 Dr. Laura Froyen has her PhD in Human Development and Family Studies with a specialization in Couple and Family Therapy. Laura was previously an Assistant Professor at UW-Madison and served as an early childhood and parenting expert for UW Extension. Laura is currently a parenting educator/coach and provides private consultations, locally and online, in additional to parenting classes and groups. You can learn a bit more about Laura’s approach on her website www.laurafroyen.com. Laura takes a research-based approach to parenting and encourages families to piece together parenting strategies that work for them. Her work with parents also focuses on the role of balance as a key aspect of a well functioning family. In this one-on-one session, have the help of a practiced postpartum doula to walk you through common and uncommon considerations once you return home with your new baby. Prepare to thrive in the areas most important to you, such as practical needs, home set up, and considerations typically not planned for in the excitement of pregnancy and birth. Take this time to broaden your focus on how to create an environment that is perfect for you and your expanded family. Michelle Ellinger has been offering support and guidance to Madison families since 2006 when she became a trained postpartum doula. 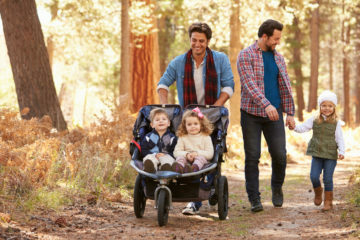 With a focus on finding creative personalized solutions and supportive community networking, has helped hundreds of new parents find ways to encourage confidence and security in their growing families. Now seen as a recognized expert in local options and infant care, she is pleased to be able to support families at UW-Madison. 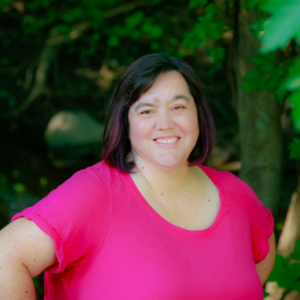 Michelle is the Owner and Director of Madison Newborn Care, and offers the areas only exclusive postpartum and infant care doula agency in Madison. To help you meet your breastfeeding goals, an International Board Certified Lactation Consultant (IBCLC) will provide a high level of lactation care, consultation, education, and support to UW-Madison students, staff, and faculty parents. She can also assist in navigating the university as you return to school or work here at UW-Madison. Tonya Schilling is an International Board Certified Lactation Consultant. Bringing with her years of experience and knowledge, she helps parents find solutions to common and uncommon breastfeeding challenges. In addition to offering support to UW families, Tonya also offers private, in-home lactation consultations through Madison Newborn Care. Phone consulting about return to work, pumping, and navigating campus lactation rooms is also available. The book “How to Talk So Little Kids Will Listen” has been life changing for so many families as they learn to make small changes in their parenting that lead to BIG changes in their relationships with their kids. Each of the FOUR classes in this series will tackle a section of the book. We will do an overview of the concepts and then really dig into the HOW TO with examples, role-plays, troubleshooting. Sign up will be available about 2 weeks prior to each session. You can come to all or just sign up for individual sessions! No Spam, ever. Your email address will only ever be used by UW OCCFR. Never sold or traded.